In celebration of this year's GIS Day (Wednesday November 14th, 2012) the Bermuda Government's GIS Committee and the Department of Conservation Services are launching a series of GIS themed geocaches as part of a real-world treasure hunting game. We challenge you to get out there and try to find them! Held each year on the Wednesday of National Geographic Society's Geography Awareness Week (Nov 12-17), Geographic Information Systems (GIS) Day serves to make people aware of GIS technology and the important contributions it is making in the fields of science, technology, information and the humanities. This global event is a reflection of the enthusiasm and commitment of individual GIS users everywhere. With the help of Bermuda Island Geocachers founder Darlene Fortin, we have hidden a series of caches, each with a particular GIS related theme. 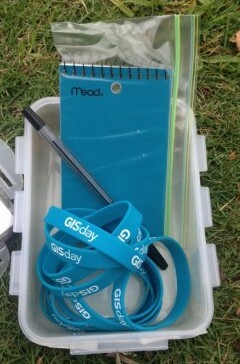 Find the cache, write in the log book and take a GIS Day bracelet! Geocaching is a real-world, outdoor treasure hunting game where participants use a GPS enabled device to hide and seek containers, called 'geocaches' or 'caches'. 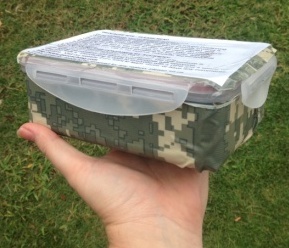 A typical cache is a small waterproof container with a logbook, where geocachers can put their name, the date and any other information they wish to share about their experience finding the cache. This is a great outdoor activity for both kids and adults. If you have a sense of adventure, this is the game for you! A Geographic Information System (GIS) is an innovative technology using geography to bring a number of benefits to our community. This computer based technology enables the collection, storage, analysis and visualization of geographic information. It is used throughout the world to solve problems related to environment, health care, land use, business efficiency, education and public safety. The ability to see geographic features on a map gives users a better understanding of a particular location, enabling planners, analysts, and others to make informed decisions. The GIS Committee is a team of representatives from multiple government departments and private companies dedicated to the development of GIS technologies in Bermuda. They encourage the development and use of quality geospatial information resources, coordinate GIS activities to avoid duplication of effort, and provide GIS advice and implementation assistance, for the benefit of the Government and the people of Bermuda. Anyone and everyone is invited to take part in this outdoor adventure. The coordinates to our well hidden geocaches are listed at the official geocaching website (www.geocaching.com). Simply log onto the site, load the coordinates into your GPS device or smart phone and begin your search. There is no end date to this game (except for when you've found them all!). These caches will be out there for as long as we maintain them. Step 6: Get out there and have FUN! Within the description for each cache you will find some information about how GIS is used in Bermuda. The GIS Committee hopes you will find this information interesting and gain an appreciation for the role this important technology plays in Bermuda. You will also find a GIS Day bracelet in each cache! Please take one as a token of our appreciation for your participation and wear it proudly! Contact Karl Outerbridge at Out of the Box Thinking. Call 333-2601 or email info@otbt.bm. Check out his website at otbt.bm. or find the Bermuda Island Geocachers group on Facebook!